Street Signs Cardboard Cutout Standup Props - Dino Rentos Studios, INC. 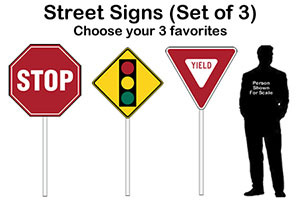 This Street Signs Cardboard Cutout Standup Props (Set of 3) is great for any roadway or city themed display or production! 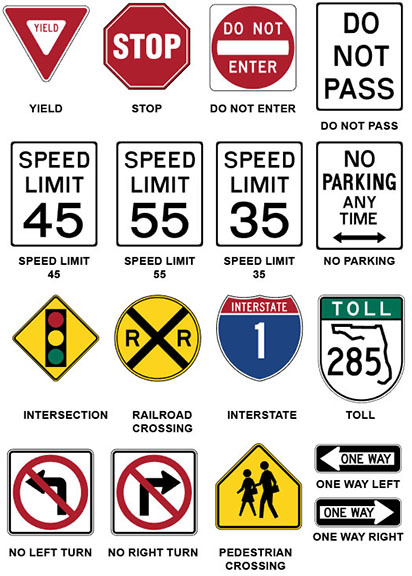 Each sign varies in height, depending upon selection. Approximately 48" (4') to 72" (6') Tall overall, including stand. Each sign comes with a commercial grade cardboard tube and a base to make each self stand.